Weekend Reading: Silently over the Hill? A few of us here at Destructoid love to have the crap scared out of us. I know for a fact that Jim, Dale, Colette and I all have periodic competitons to see whose erection for Silent Hill is larger. The competition is usually so close, we need to call in one of the other staffers to judge. So naturally, I was excited to see .tiff cover Konami's Gamer's Night and put up some coverage on Silent Hill V. Being in the land of Japan, I was separated by a damned 13-hour time difference, leaving me unable to join in the excitement fest. So, I just kept reading about the game. Once I read the description, watched the trailer, and pondered about the future of Silent Hill, I got to be a little worried. I wasn't at the point where I'm calling the Silent Hill series dead, but I think it may be time to put Silent Hill in the retirement home and focus on something new. 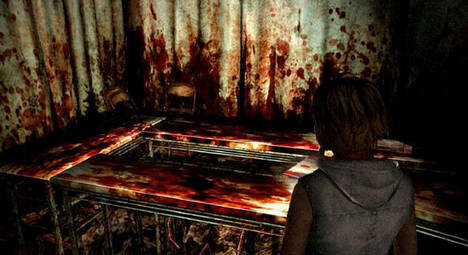 Going back in time a bit, my fears first piqued when I played Silent Hill: Origins. Looking back on when I reviewed it, I feel like I was a little generous with my review. Alright, very generous. 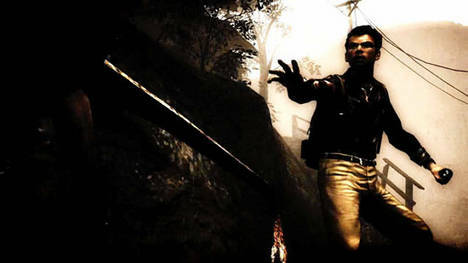 When I played through the game, I didn't feel attached to the character at all, mainly because his attachment to Silent Hill wasn't even something he remembered. Also, pretty much all the monsters in the game had been used before, and that set me off. Not to mention some slight irks with how the monsters would come back after they went out of draw distance, etc. But that's all in the past now. I could understand the meaning for the Nurses, Silent Hill's iconic enemy, throughout most of the titles (Silent Hill 1-3). There was a clear and distinct reason in each game for the main character to have the nurses as an enemy in the game, and it came off as genuinely creepy. Yet when it came to Origins, they were just another enemy trying to stab me in the throat. I checked on Wikipedia to see what was written, and they were supposed to represent Travis' "sexual anxiety and fear around women." Well, I certainly didn't get that feeling. Plus, the artistic difference in them was minimal. When I watched the trailer for Homecoming, I got the exact same feeling: they were just being used as an enemy, and didn't have any deeper meaning. I felt the same way about the Straight-Jacket characters. They were a slightly adapted version of the ones from Silent Hill 2, and had no meaning. Even worse, as I found out when catching up on my episodes of Podtoid, Pyramid Head is set to be in Homecoming. To sum up what Jim, .tiff, and Aaron said, and my feelings as well: The developers have no idea what they're doing with Silent Hill if they're including him. He has a very specific meaning, and when you include him in something outside of that (i.e. 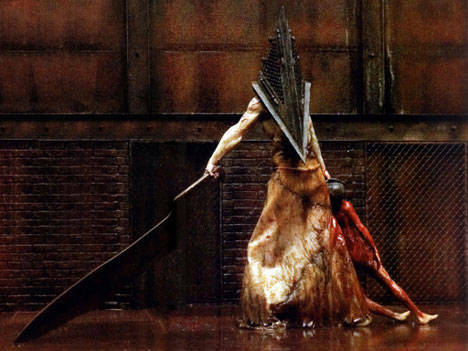 Silent Hill the movie), he loses all meaning, and is just a hulking brute at that point. At this rate, I get the feeling that Silent Hill has felt pressure from the success of Resident Evil 4 to finally upgrade their combat system to something more functional than whacking a monster with a stick and hoping to God that you kill it first. To me, that was part of the charm of the series -- the people in the game were just regular people. At best, they had a decent golf swing, but they don't know how to best use a bat, knife, or gun in the way a trained police officer would. At times, it would even make me feel as though I was the character. Alright, so Silent Hill: Homecoming doesn't look too good, and it might be time to place the series in the retirement home, where it can live out its social security days in relative peace. Now that you've finally got some time to yourself, who is going to fill in that void in your life? Who is going to scare the absolute crap out of you? I think that might be Siren. I noticed the trailer and demo sitting around on the Japanese PlayStation Store, so I went ahead and gave it a whirl. That feeling of fear and despair came back to me. The feeling that screams, "ohmygodyouregoingtodieRUNAWAY!" 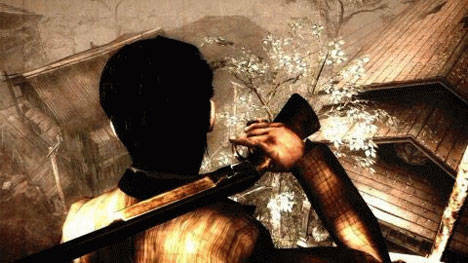 Sure, it wasn't the feeling of totally unsettling horror that I felt when I played through Silent Hill, but it was a level above Resident Evil, because instead of being a cop, I was an action scholar, along the lines of Robert Langdon, who could only use a sickle picked up from the ground. I didn't have any feeling of security as I went through the stages, because realistically, I could be overpowered within a second. There was a bit of a secondary level of eeriness for me, because I've been in these traditional-style villages in Japan, and it's all the more real for me. I'll be tackling a review of Siren in the upcoming weeks for Destructoid, so I'll soon be able to say for sure how the game works as a piece of horror gaming. From the comments of other posts, I've seen you guys say that the game was fantastic, save for the voice acting. I'm hoping that the game can move beyond the realm of jump scares and other Hollywood tactics, as the only good measure of whether or not something was scary is if it creates that lasting fear of terror in you. I remember hearing the question posed somewhere on the Internet, "is it time to move on from the horror genre?" It's one that I figure I might as well address here, because why bother with Siren at all if the horror genre has gotten trite? Well, horror is one of those areas that is simply improved by moving to the videogame platform. The most critical element of horror is bringing the participant in and making them uncomfortable with their surroundings -- in other words, trying to blur the line between the screen and the audience. Horror games can only advance with better graphics, more power to work with, etc. A word to developers, though: don't make me turn by brightness up a metric fuckton in order to see what's going on in the game.